The power and propulsion element will be the initial component of the gateway, and is targeted to launch in 2022. Using advanced high-power solar electric propulsion, the element will maintain the gateway’s position and can move the gateway between lunar orbits over its lifetime to maximize science and exploration operations. As part of the agency’s public-private partnership work under Next Space Technologies for Exploration Partnerships, or NextSTEP, five companies are completing four-month studies on affordable ways to develop the power and propulsion element. NASA will leverage capabilities and plans of commercial satellite companies to build the next generation of all electric spacecraft. Habitation capabilities launching in 2023 will further enhance our abilities for science, exploration, and partner (commercial and international) use. The gateway’s habitation capabilities will be informed by NextSTEP partnerships, and also by studies with the International Space Station partners. With this capability, crew aboard the gateway could live and work in deep space for up to 30 to 60 days at a time. Crew will also participate in a variety of deep space exploration and commercial activities in the vicinity of the Moon, including possible missions to the lunar surface. NASA also wants to leverage the gateway for scientific investigations near and on the Moon. The agency recently completed a call for abstracts from the global science community, and is hosting a workshop in late February to discuss the unique scientific research the gateway could enable. NASA anticipates the gateway will also support the technology maturation and development of operating concepts needed for missions beyond the Earth and Moon system. Drawing on the interests and capabilities of industry and international partners, NASA will develop progressively complex robotic missions to the surface of the Moon with scientific and exploration objectives in advance of a human return. NASA’s exploration missions and partnerships will also support the missions that will take humans farther into the solar system than ever before. NASA’s Space Launch System rocket and Orion spacecraft are the backbone of the agency’s future in deep space. Momentum continues toward the first integrated launch of the system around the Moon in fiscal year 2020 and a mission with crew by 2023. The agency is also looking at a number of possible public/private partnerships in areas including in-space manufacturing and technologies to extract and process resources from the Moon and Mars, known as in-situ resource utilization. 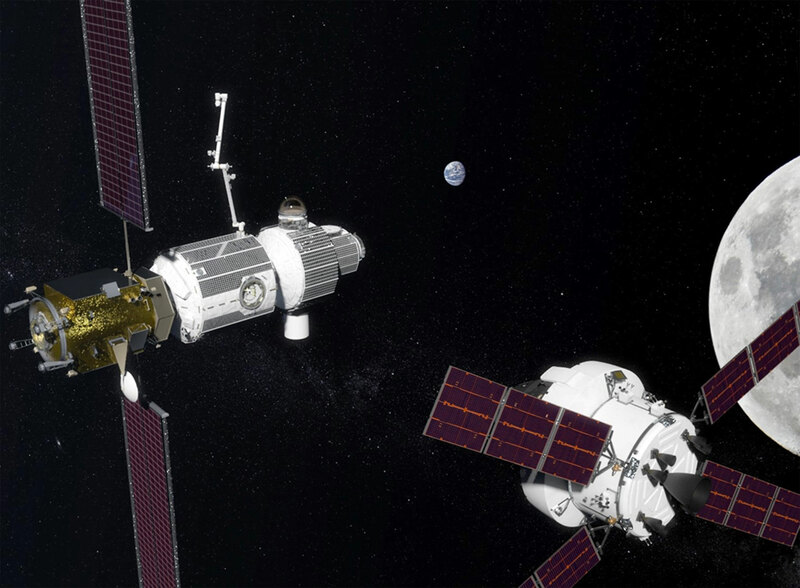 Be the first to comment on "Lunar Orbital Platform-Gateway will Extend Human Presence in Deep Space"